Betty Jean Howe, who was born on December 22, 1933 in Moneta, Iowa, passed away at Christopher House Hospice in Austin, TX on November 28, 2017. A memorial service will be held on Sunday, December 10, 2017 at 2:00 p.m. at Ernst Funeral Home in Waukee. Private interment at Waukee Cemetery. Betty married the love of her life, Don Howe, on March 31, 1962 at Grace United Methodist Church in Des Moines, IA. Together they managed several apartment complexes over the years. 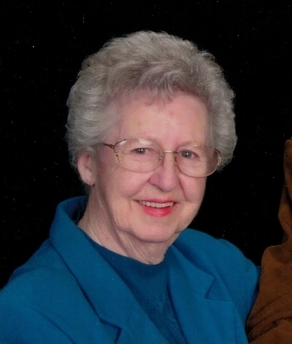 Betty was a charter member of the VFW Post 11517 Ladies Auxiliary and held a number of district and statewide auxiliary leadership positions throughout the years. Betty loved to crochet, play cards with friends and local women’s card clubs and excelled at gardening, which could be seen by her beautiful flower. She cherished her marriage with Don and took great pride and love in caring for Don over the years. Betty is survived by her daughter Terri Weisbord of Austin, TX; son Dan Howe of Waukee; grandchildren Adam and Chase Howe and sisters Doris (Gene) Rouse of Emmetsburg, IA and Deb (Keith) Peterson of Spencer, IA. She was preceded in death by her parents Orin & Evelyn Kenyon and brother Rollie Kenyon.